If you were to study the behavior of the very best real estate investors and real estate agents for a long enough period, you would discover a hidden success habit that these people display. This habit helps them consistently beat the competition and produce extraordinary results. It isn’t the kind of success trait you’re going to read about in a typical, “10 success secrets,” blog post, or, “7 Habits,” type book. This is a lot more unspoken. What is This Hidden Success Habit? To explain this incredibly powerful concept, I would like to use, arguably the greatest college football coach in America. His teams have dominated in an extremely competitive sport, at a time when there is more media attention and money being thrown then ever before. Despite all of those different factors, and the fact that the players come and go because they go from college to pro. Despite the fact that the players come and go because they go from college to pro, this particular coach continually, consistently dominates. The coach I am talking about is Nick Saban and the University of Alabama. I went to Vanderbilt so I am a Commodore fan; but regardless of where you went to college, or whether or not you’re a college football fan, you have to respect how incredible Nick Saban has been as coach of the University of Alabama football team. There was a fascinating segment on 60 Minutes a couple of years ago where 60 Minutes got a rare look inside not only the Alabama football program, but also into Nick Saban’s life. It’s revealing, because it describes what makes Nick Saban’s teams so different from all of their competitors. His radical approach called, “The Process” is based off the concept of focusing on the wins and losses instead of the scoreboard. Coach Saban tells his players to, “Ignore the scoreboard and focus on each individual play as if it’s the last play on earth, played at the highest level of capacity, and the wins will take care of themselves.” This is a radical concept because often in our society it’s all about the wins and losses. Taking your mind off of the results and focusing on the process is definitely a paradigm shift. This idea is so engraved into the entire UA organization that this past weekend even though the team was leading by an enormous amount, coach Saban chewed out one of his assistant coaches for a mistake made during the last few minutes of the game. This just exemplifies the heart of the entire philosophy. When you focus on the process, you’re focused on the actions that you have complete control over. Especially in college football, there’s many different variables that are out of your control, but if you focus just on what you have the capacity to control, and you put all of your energy into that, then the wins take care of themselves. Focusing on the process and not the results is very helpful in real estate. Real estate is competitive, and there’s a lot of factors that you have no control over. Deals take a long time to close, or you can even go through a “dry spell” of no deals at all. If you start focusing on these results, it can start to play tricks on your mind. Sometimes a good thing happens and it was partially luck. Sometimes when this happen it can cause you to get cocky, you might even take some time off, or stop striving for more. On the other-hand if you see that good thing as part of the process, then it is just step 1. As a result of that step 1 you get to the next step and the next step until you accomplish your goal.. Instead of focusing on whether you are winning or losing, you should focus on the aspects that you have complete control over. 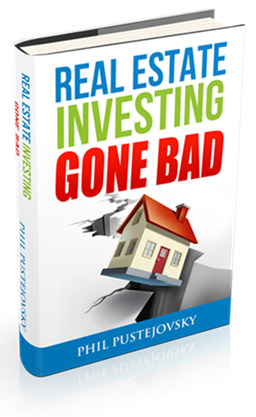 There will be many things that are completely outside of your control when investing in real estate. The best thing to do is focus on what you do have control over. . This concept will also help deter you from jumping to false conclusions. Just because you got lucky on a deal does not automatically put you at the top of the game. In order to achieve the results you want, focus on the things you can control. The process is the most highly productive actions that you can employ with the time you have to contribute to real estate. Those highly productive actions over, and over, and over again will eventually produce the great results. Again, I want to go back to this Nick Saban process concept. Go watch that 60 Minute’s interview with Nick Saban. That will really color this entire topic, and a light bulb will go off. When you study the very best real estate investors and agents, that’s what they’re doing. They’re focusing on the process, they’re focusing on what they have control over. After they close a big deal, they immediately shift their focus to their next productive action. Even when things go wrong, they do not get upset; they just stick to the process. They stick to accomplishing things that will help them achieve more success. You might be wondering what this process is and who can help guide you. The Alabama players have Nick Saban telling them what to do, but who will help you. You need your own coach or mentor. 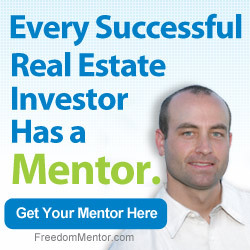 The best real estate investors have a mentor helping them hone in their skills, to be as productive as possible. I have a great video on the Fear of More Money that explains the concept of people being afraid of making money. If you focus on the process instead of the scoreboard, you will not be afraid to make more money. Focusing on the process allows you to accomplish more and get results time and time again. I use the word habit in the title because that’s what this is. This is a habit that you do over, and over, and over again. It will become ingrained in the way you operate helping you choose the most productive actions. These productive actions all add up to a successful result. Phil wonderful wisdom much appreciated. Continued success! That was so exciting because I do it all the time while thinking about being mentored….How much can I make…what is my % of profit ?? I heard a saying in the not so distant past, when trying to get out of debt to get started with Freedom Mentor….“Watch your pennies, and your dollars will watch themselves“…..After 2 years, other than a land payment and mortgage, Im debt free. Thanks so much..it will change my thinking process 360 degrees. I`m tired of Nick Saban and the Tide..they win TOO much …now I know why. Go VT Hokies !!! Thanks again, Phil !!! Also, 180 degrees probably would have been more in line with my thinking !!!!!!!!!! Just watched the Saban video of `60 Minutes`….Boy, what a new-found respect of him that I now have…please disregard the last sentence of `reply #1`…I can`t wait until I get the chance to watch Bama in an upcoming Saturday !!! Great video, Phil. I remember seeing that story whey it aired on 60 Minutes. Remember, his inspiration came from Coach Paul “Bear” Bryant. I do believe that focusing on the process rather than results can apply to most aspects of life, not just real estate or other competitive aspiration. on “The Process.” It all comes together on the field…..win after win after win. Thank-you Phil. 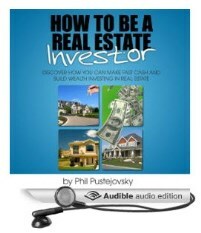 Thank you Phil what a great real Estate Investing info. I love it. Thanks Phil: So true to real life actions and thought process to achieve our short and long term Real Estate goals. I have been focusing on the “process ” for past 2 months, know I’m getting deals to flip to investors, but on High dollars properties I’m not able thus far to find, Investors for this type of purchase. So true. Thank you. This is my first post. I know that you need a mentor or coach. Could you at least help us newbie real estate agents with the basic stuff to do on a daily basis? Thank you. As always Phil! … you rock! Thx much!